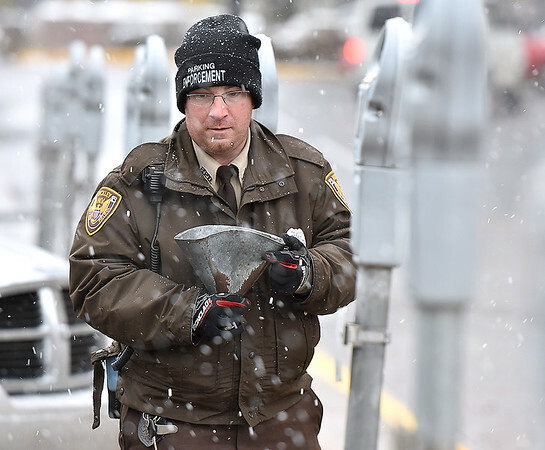 Beckley parking enforcement officer Steven Howell makes his rounds collecting all the change in the meters as he and fellow officer Stephon Smith (unphotographed) work the lot at the corner of South Heber and Neville Street Thursday afternoon. Every few days Howell and Smith, the city's only two parking enforcement officers, must empty the full meters around the city. It's a pretty nice chunk of change, totalling around $1,000 per week.